Situated within the northern section of a large settlement in Sticker, south west of the St Austell town centre, our clients wished to explore a contemporary ground floor extension and first floor dormer extension to their exisying home. 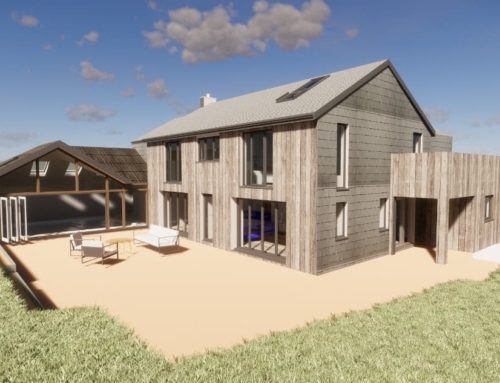 Lead by the necessity for increased kitchen and dining space, as well as an additional first floor bathroom and en-suite, the proposed extension offers a sociable kitchen, living and dining area which maintains a healthy balance of natural light and available internal wall space. Having considered the current architectural style throughout the settlement, the proposed design introduces a new contemporary architectural style, enhancing the visual appearance of the property as a whole. 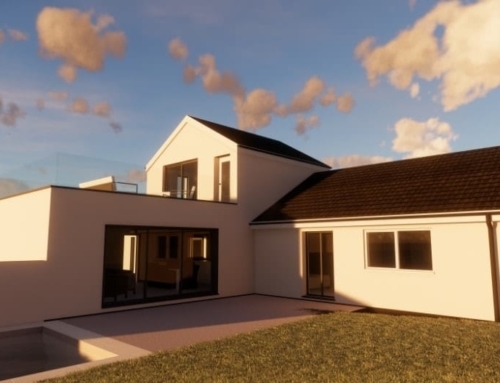 To assist our client with visualising both the external appearance and internal layout of their extension, Lilly Lewarne Architects produced a series of 3D visual perspectives that puts the extension in to its context and brings their project to life.